A work on the breathing in twos on the floor, the breathing work standing and in the space. Individual work on one quality of sound each day. Work on the monologues of Richard the III linked with the voice work in the morning. On the last day we will do the breathing work on the floor, the breathing work standing and walking in the space and the voice warm up. The rest of the time we will work on the text. At the end of the workshop there will be a discussion about the work. Students are lodged in simple but comfortable shared rooms (called gîtes) with two, three or four beds with bathrooms (showers) and two equipped kitchens. Sheets and blankets are provided. Please fill in the accompanying enrollment form and include a cheque for 30 euros as a deposit. 2) we do not have single, private rooms. For residencies and longer stays it may be possible to rent appartments in the Château – these too also get booked early for the summer. Would you like to receive the C.A.I.R.H. Newsletter? Please note that a place in a workshop or course is only confirmed after recept of a deposit. Please send the enrolment form with a deposit of 120 euros for the workshop plus the total for accommodation, if you have booked a place in a gîte at Malérargues. Bookings will be taken into account only when full payment has been received. The prices shown for the workshops, unless otherwise noted, are for the courses only: food is not provided unless also specified. The deadline for withdrawing from a workshop is one month before the start date of a course or workshop. We regret that no re-imbursments of deposits can be made after this date. Prior to this date, the deposit will be re-imbursed less 30 euros for administrative costs. The Centre reserves the right to cancel a workshop if there are not enough participants. In this case the deposit will be fully re-funded. If you are reserving by the e-mail form below, please be sure to send your deposit on the same day as you send the form. We will temporarily hold you a place for four days. The CAIRH being an association, all workshop participants must be members. The membership fee is €20 per year. International voice teacher working in many European Countries. In the last 25 years, I have developed my own work by researching the relationship between the depth of Shakespeare's language and the voice. My aim is to support anyone wishing to develop their authentic human voice. To find the vocal expression of our whole humanity with all its faults, fragility, sorrow and joy, lightness and dark, masculine and feminine. Through working with and developing each participant’s unique voice, my aim is to allow a deeper exploration of the artistic potential of the voice through technique and vocal application to text. Nadine George, founder of Voice Studio International, was trained as an actress in the early sixties to the Central School of Speech and Drama in London. She worked closely with Roy Hart, exploring the human voice and in 1975 became a founding member of the Roy Hart Theatre (Malérargues, France). She teaches at the Royal Conservatoire of Scotland in Glasgow. In 20 years, her technique has been officially selected by the Department of vocal studies for the stage. Thirty years of research and teaching across Europe (Sweden, Iceland, Denmark, Finland, Norway, France, UK) have allowed Nadine to reach the level and quality that are hers today. She created a practical technique that can be used, regardless of language, for those who wish to develop the voice that is truly theirs. This unique method uses sounds sung by directly connecting the body and the text work. In 2008, Nadine received an honorary doctorate from Glasgow Conservatory for services to art and her contribution to the work on the human voice at the international level. About Nadine‘s work and workshops and other people working with her, teaching voice workshops with her voice work. Growing Voices, a booklet written by Ros Steen about Nadine George‘s work at the Royal Conservatoire of Scotland. 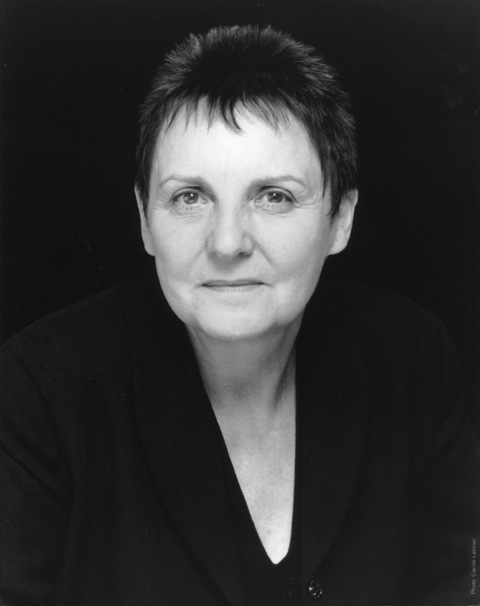 Ros Steen was then head of the department for Voice and Performance at the Royal Conservatoire of Scotland.